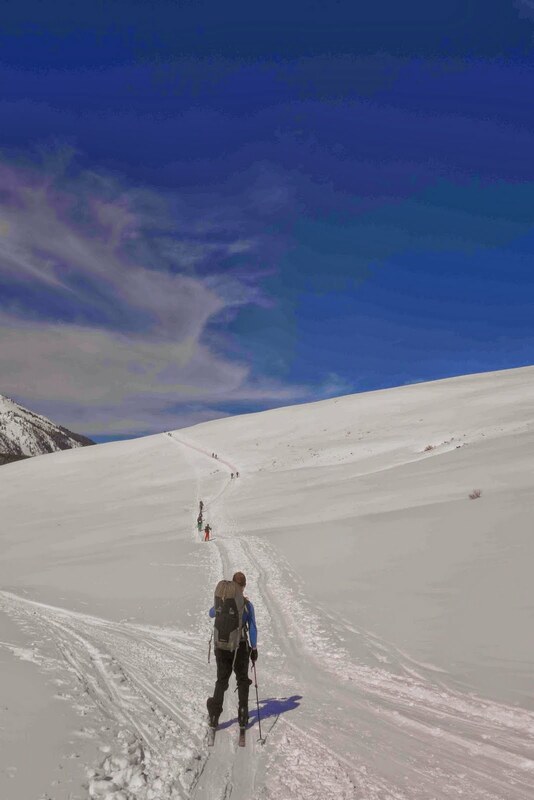 Sometimes, circumstances in the mountains are beyond your control. Injuries, weather, and sickness are just a few things that can derail months of preparation. 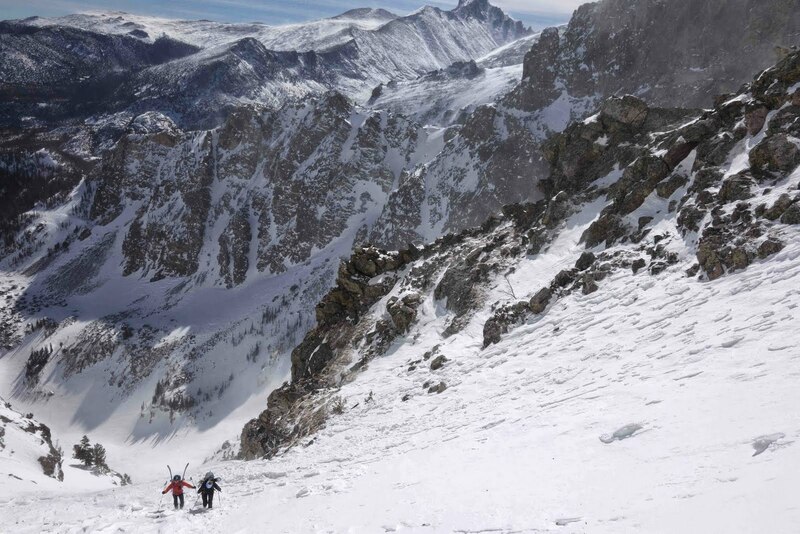 When it's obvious a climb, a race, or a trip isn't going to go your way, what do you do? Burn out and give up? Enjoy the experience for what it is? All of these issues become even more complicated when you are working with a partner, who is fighting his or her own battles. My strongest relationships are with those partners whom I've gone with into the mountains and tried our best, independent of success or failure. I buckled down and started skiing a lot. More than I have ever before, foregoing ice and mixed climbing to get better. 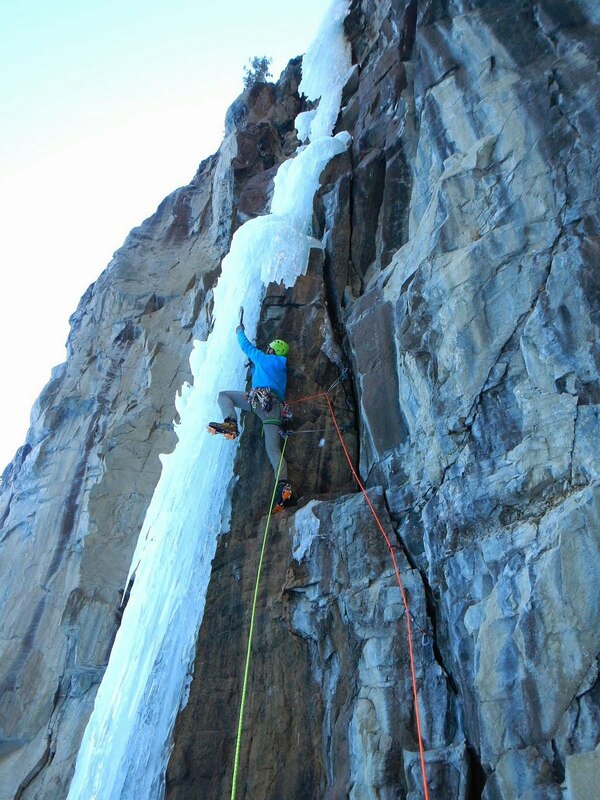 Climbing partners even started asking me if I was feeling OK. Truthfully, I was having a blast taking a bit of a break from scratching up scary mixed pitches with my ice tools. 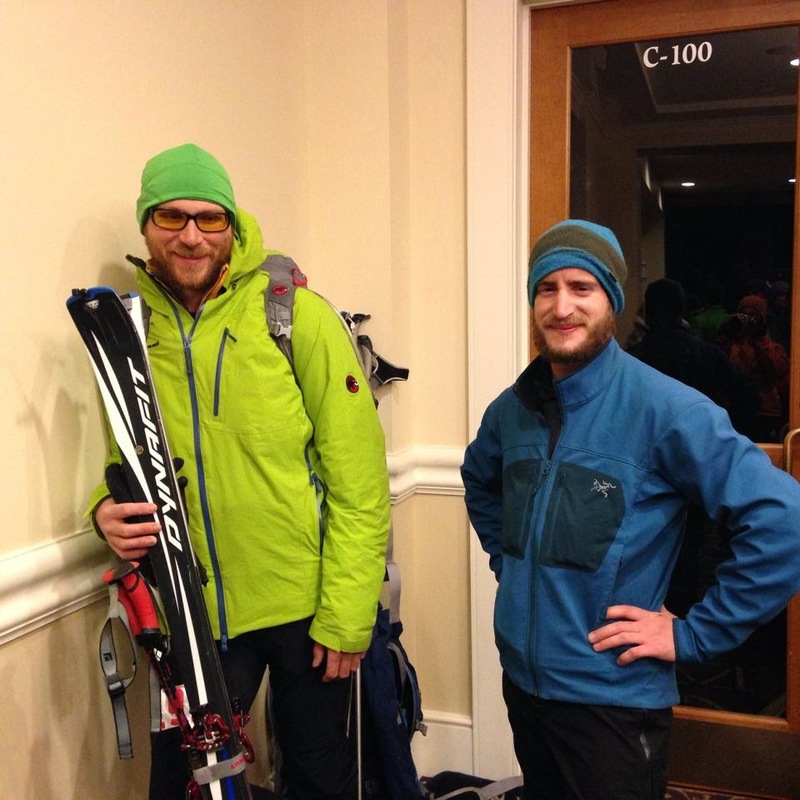 I even got myself a set of race skis and started doing local rando races with friends. It was a steep learning curve at first, but eventually I started achieving my goal of beating one skin-tight lycra wearing racer each time. I was starting to feel fit and we were getting in tons of training days. 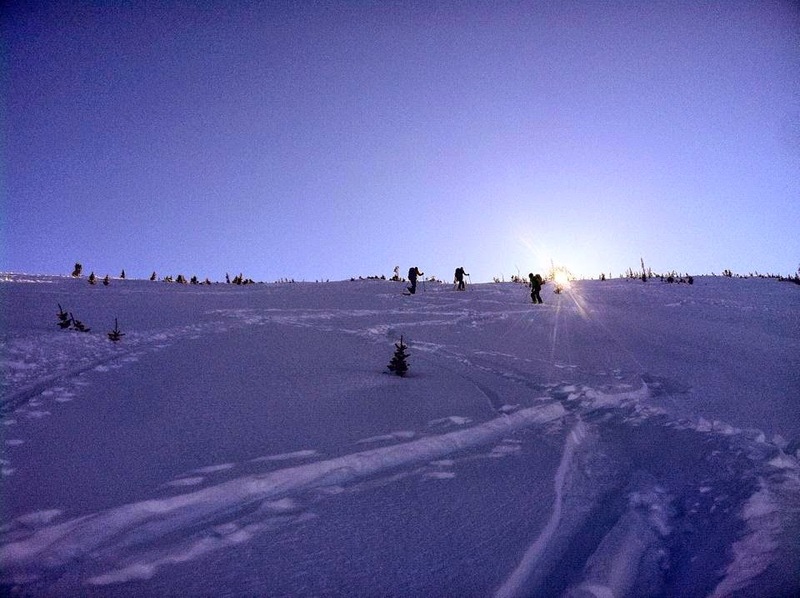 Unfortunately, Jed was caught in a small terrain trap avalanche and broke his hand with 8 weeks until the race. It was a classic mistake, with group dynamics and touchy snow conditions coupled with poor decision making causing the accident. Thankfully he is fine and no life-threatening injuries were incurred. 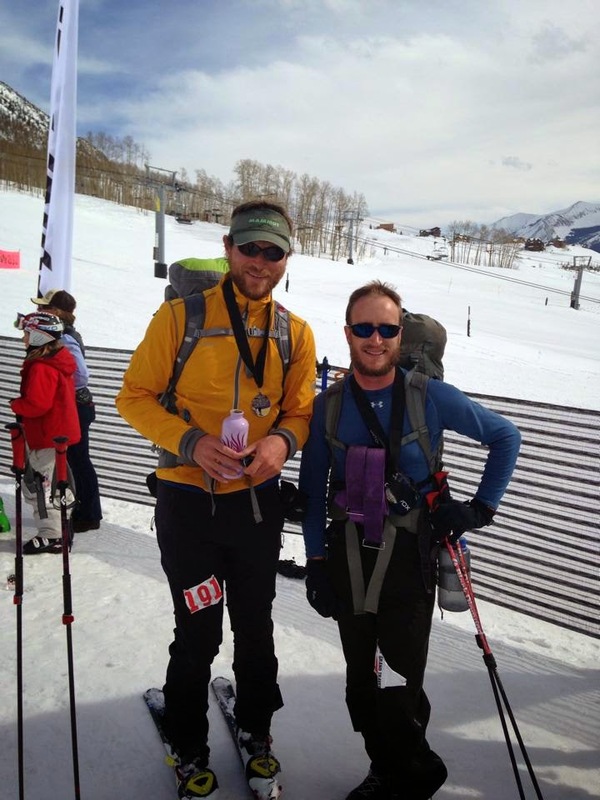 However, my excitement for both skiing and the race dipped at that point, with my partner sidelined and doubt creeping in. I decided to hold off on finding a replacement for Jed, debating if I wanted to do the Grand Traverse at all. A few weeks later, some friends came through town for a science conference and we got out for four huge skiing days while they were staying with us. 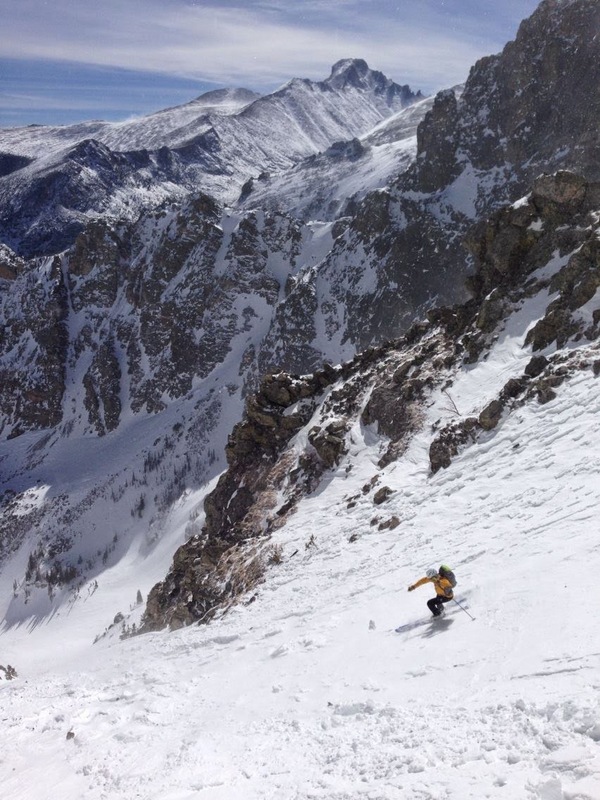 We skied a few steep lines in Rocky Mountain National Park that I had only ever dreamed of doing before this season and we also managed to stand on some summits in perfect, windless weather (to quote my friend Kelly - "putting the mo back in skimo!"). The psych began to rise again, but I had to find a replacement partner for the Grand Traverse. I asked a few friends and the most excited was a graduate school friend, Duncan, who hadn't been training but thought he would be okay if we took it easy. Training resumed, but at a much slower pace. I ended up having to work a significant amount leading right up to race, even sitting in the back of the car working on my laptop as we drove to Crested Butte. Duncan couldn't find race gear on short notice, so he was stuck doing it on his old 3-pin nordic skis. A lot of things were quickly adding up for a rough race, but I was still optimistic we would be alright. 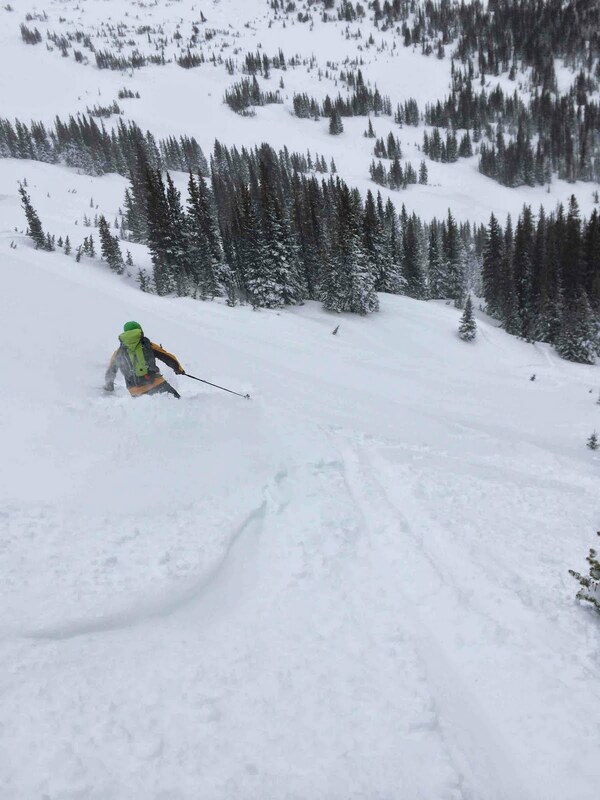 The final hurdle was Mother Nature, as over 20" of new snow fell on parts of the course in the days leading up to start. The race directors were left in the tough position of having to implement the "Grand Reverse" for only the fourth time. This meant we would do most of the first major climb and then reverse course in a large loop to return to Crested Butte. They promised a challenging course and certainly delivered, with the actual mileage and gain coming in just a bit higher than the normal race. People were obviously disappointed, with some teams choosing other adventures over doing the Grand Reverse. Duncan and I were still excited and tried to grab a few hours of sleep before the race start at midnight. Everyone sprinted off the line, jostling for position before settling into an all-day pace. We made good time through the first 10 miles, but after that a lack of team training and challenging conditions squashed any ideas I had about racing. I pushed on Duncan for a bit before he let me know that we'd have to drop out if we maintained such as high pace. Which brings us back to the opening of this post. What would you do? Get pissed at your friend who graciously agreed to step in so you could still do race? Drop out in frustration? 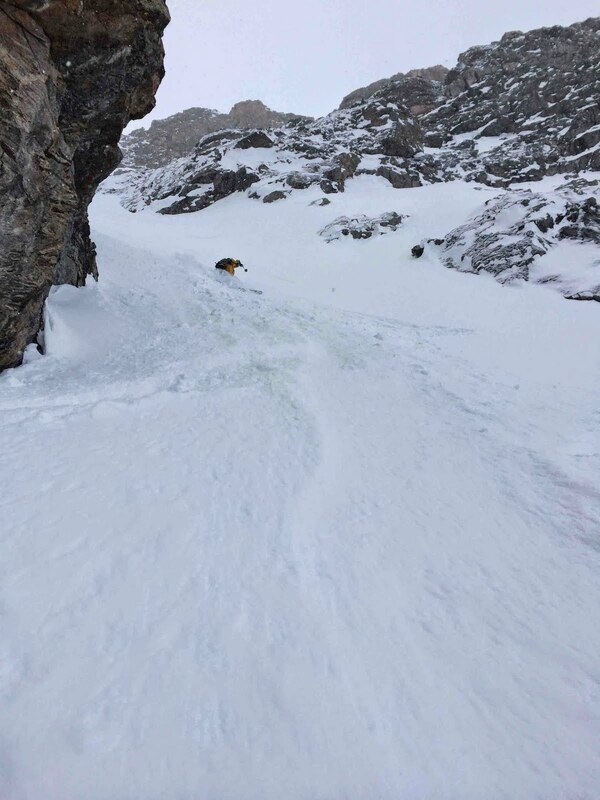 Or put your head down, grind it out, and enjoy a long tour in the mountains? I wasn't the perfect partner or friend all day, but we stuck it out and finished the race before the cut-off times. Crossing the finish line in Crested Butte took us longer than most teams, but we made it and got to see a ton of great terrain. We even had some nice skiing on parts of the course, when we weren't trying to decide between skating and skinning on the long flat portions. And the beers at the finish tasted damn good after a long, hot day in the sun! Dressing for such a long day in the hills is tricky and I was quite happy with my clothing choices. All winter I have been trying out the Aenergy pant and jacket as an one-stop alternative to the race skinsuits and normal ski-touring clothes. These pieces are a blend of lycra and softshell material, providing breathability where you need it and weather protection as well. I'm really excited about these pieces and I have lived in them this winter for all my human powered skiing. For the race itself, I used the Aenergy pants and Go Dry long underwear on my legs and a Go Dry t-shirt, Eiswand Zip Pull Light, and Aenergy jacket on top. I started with an Aenergy beanie and switched to an MTR 71 visor later in the day. For the first major descent, in the dark, I pulled on my Broad Peak Hoody, but I probably could have gotten away with only a windbreaker (like the new MTR 141 air jacket) as I warmed up quickly. I used a couple pairs of lightweight fleece gloves to skin in and pulled the Cover Mittens on for descents, which blocked the wind and kept the fleece from freezing up. 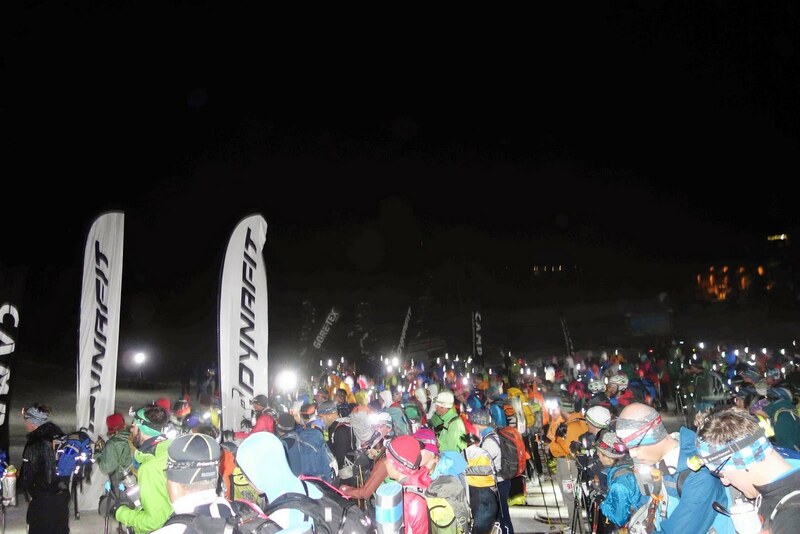 I used a T-peak headlamp, which has plenty of power on high for downhill skiing. I carried all the mandatory gear (of which there is a lot!) 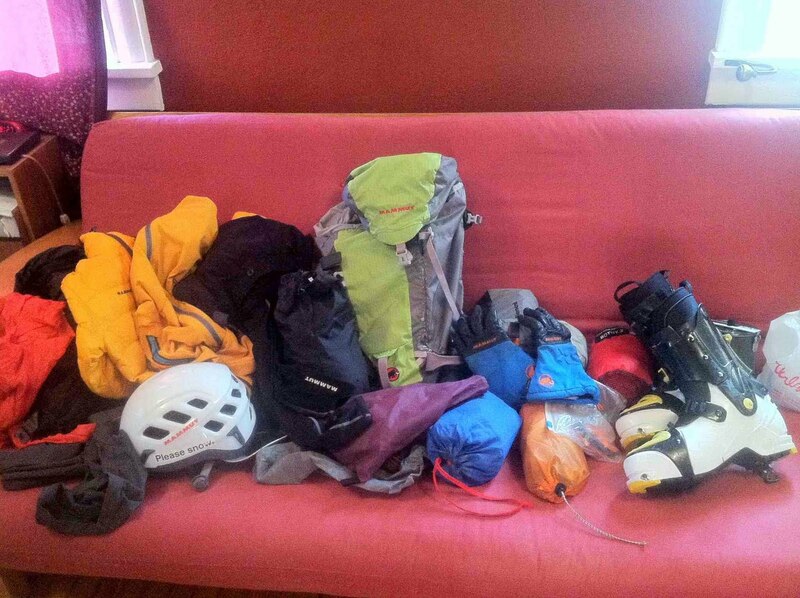 in a Spindrift Light pack, an awesome pack for backcountry skiing. It's very light, sits well for skiing, and has dedicated shovel and probe pockets.